Welcome to fifth grade at Fresno Christian Schools. I am excited to meet this year’s incoming fifth graders. Some of you are familiar faces from last year. Parents, family, and friends are invited to join our school for our opening Convocation in Peoples Church Sanctuary at 7:55 AM on Monday, August 17, 2015. Each week on Monday you may go on-line to read our class newsletter. The newsletter will contain our weekly areas of study in core subjects, scripture verse, spelling words, school wide information and special activities like field trips. Beginning this Monday students will be taking home a Yellow Homework Folder . Homework will be assigned M-Th. Grades 1-6 will meet every Monday morning for Chapel and Worship from 8:15-8:45 AM in the North Lobby Chapel. Sign ups for Electives will be the first week of school. Students will be given specific information on the electives that are available and the days they take place on. They will take the information home to discuss the best choice with their parents and a parent signature will be required in order to process the selected choices. Electives will start the second week of school. Each student will be given a homework folder sent home on Mondays. Please look in this RED homework folder for your child’s graded work from the previous week. It houses a newsletter, possible flyers, and weekly math homework assignments. Please take the opportunity to go through the work together and correct any mistakes. Please return the folder with the math homework each Thursday. This is part of your child’s effort grade for responsibility. Also, any daily work not completed in class, such as math, reading or spelling, is considered homework. Students will have a yellow folder for transporting daily work not finished in class. Please return the completed work the following day. Please help your child to succeed by limiting unnecessary clutter and distractions. Some children bring so many things that they are burdened by their supplies and some use them as toys. In this case they will be asked to take them home. Thank you! **For hygiene purposes we are also in need of lots of tissue, unscented hand sanitizer, and disinfectant wipes for the classroom. We use these throughout the year to stay healthy as a class working closely together. If you are able to donate any of these items, please send them to school with your child. Thank you! I look forward to seeing each of you at “Parent Back to School Night” Tuesday, August 25th. Together, here at FCS, we pledge our sincere effort to continually help your child grow spiritually and academically while under our care. Thank you for your encouragement and prayers. Morning recess is scheduled from 10:20-10:50 AM daily. Lunch and afternoon recess is from 11:45 AM-12:35 PM on Mondays, Tuesdays, Wednesdays and Fridays. On Thursdays lunch/recess will be from 12:40 PM-1:25 PM. Be sure to wear appropriate clothes and shoes that are for workouts. Water bottles need be brought to school on a regular basis and kept in your child’s backpack. Please inform the office of any health concerns and notify me as well. Students must have a written notice from parents or doctor to be excused from P.E. activities. Please note that every Thursday is an early release day with dismissal at 2:05 PM due to Staff Professional Learning Communities. Power School offers a variety of information including attendance, grades, and special notes to parents. This is a SECURE website and therefore you, as a parent, may access your child’s information confidentially. School ends daily at 2:45 P.M. Please arrange pick up promptly. Children not picked up by 3:00 P.M. will be taken to the office to call parents and wait. The pick-up location at the People’s campus is between Building 5 and the Peoples Church preschool playground. All children must wait with the teacher until an adult walks over to pick them up. They may not go and meet you at your car. Snacks may be eaten during the morning recess only. (Special exceptions apply to students with medical reasons). Fruit, veggies, crackers, cheese, chips, yogurt, and fruit snacks are some suggestions. We will save our dessert foods for lunch. Because of various children’s food allergies, we are not allowed to share or trade food. Milk and juice will be offered for K-6 students. Milk and juice are 40 cents each. You may purchase a Milk or juice card for $8.00 each. Each card is good for 20 drinks. These are available in the Elementary Office. You will be notified when it is time to purchase a new one. This is offered as a convenience to you and is not mandatory. You may bring a treat and drink if you choose. Your child and you may choose and there are no restrictions, whatever is a favorite to your child. We celebrate at 2:30-2:40 PM. Just let me know a few days ahead of time if you want to celebrate at school. If your child has a summer birthday, he/she will not be forgotten. We will find a day for them. It can be on their half birthday or any day that works for you. If you have any questions, please feel free to email me at: dmiranda@fresnochristian.com. You may also send a note with a child. I check emails daily and I will return your email promptly. In the event of an emergency, please call Lisa Dooley, elementary secretary in the Elementary Office, at 299-1695. Please have your child bring a favorite literature book to read during “Silent Sustained Reading” every day. The book should be kept in his or her backpack at all times for easy access on a daily basis. Once our library time is scheduled, students may choose a book from there as well. Every Friday is SPIRIT DAY at Fresno Christian. 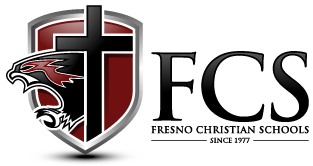 So if you have a shirt that says “Fresno Christian, FCS, or has the FCS Eagle on iT , be sure to wear it on Friday. Our whole class will be getting class t-shirts with Fresno Christian’s name for field trips in a few weeks. It was included in your tuition. If you wish to purchase other FCS Spirit Wear your children or adults, go to our school website. This week we are learning about Place Value to Hundred Thousands, Writing Numbers in Standard Form, Written Form, and Expanded Form. We begin with Early Americans and theories about why and how they migrated. We will do lessons in grammar as we prepare to develop our writing in the genre of Personal Narrative. I will be sending out a weekly list each Monday. Start practicing your spelling words early to ensure good results on Fridays. SPELLING: Spelling Lesson 1 words will be tested this Friday, August 21.